Infinity Beach Club is Guam’s newest beach bar. 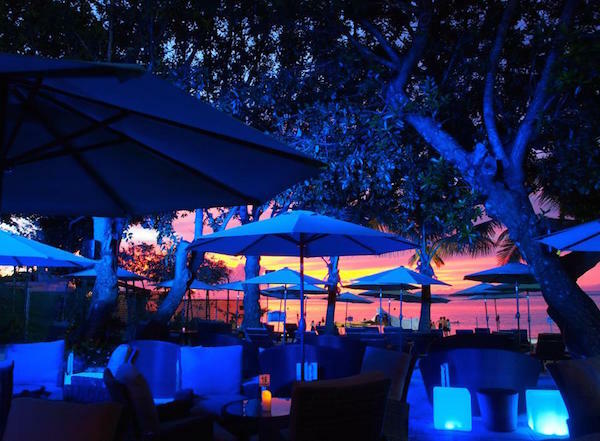 Watch a gorgeous sunset while munching on happy hour items and listening to the live music or a DJ. Feel that ocean breeze while playing a game of pool, waiting for those tapas or the chef’s special you just ordered. Trying to be good? You’re in luck! Cold pressed juices and lighter options are now being offered so you won’t feel excluded when your buddies want to indulge. 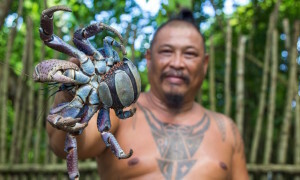 Located at 1317 Pale San Vitores Road in Tamuning, you can visit this hidden gem at the Guam Reef Hotel Monday thru Sunday from 8:00 a.m. to 10:00 p.m. Tip: The easiest way to get to IBC is through the rear parking behind the San Vitores shrine. Simply drive into the Guam Reef Hotel main entrance, make a left and go through the parking lot, make a right after you see Eggs n’ Things and drive all the way down to the old tennis courts behind the San Vitores shrine. “Al fresco dining by the beach served with the perfect sunset.” Sounds like it doesn’t get any better than that! But wait — it does. There’s live music on Friday and Saturday nights and plenty of room to dance. 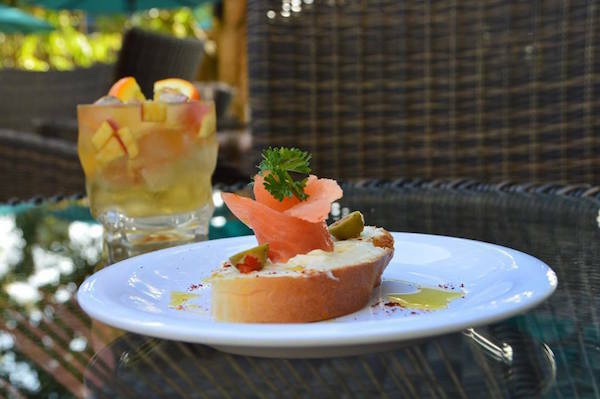 While taking a breather, try the calamansi Mojito or a fun cocktail like the “beach zombie.” If you have worked up an appetite, you are sure to find something on the menu, ranging from BBQ, steaks and seafood to sandwiches, burgers, and salads. 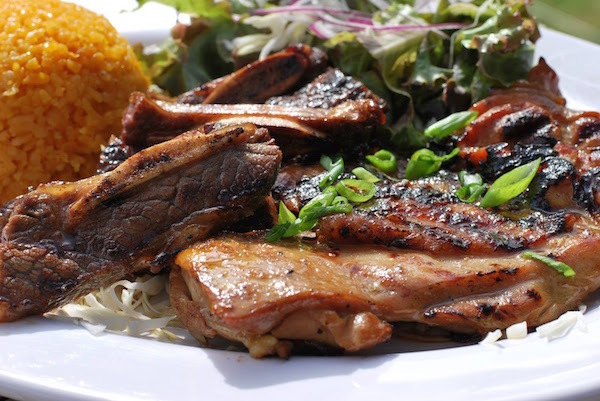 Located at 176 Apugan Way in Tamuning, visit The Cove Beach Restaurant and Pub Monday thru Thursday from 5:00 p.m. to 10:00 p.m., Friday 5:00 p.m. to 12:00 a.m., Saturday 11:00 a.m. to 12:00 a.m. and on Sunday from 11:00 a.m. to 10:00 p.m. The name may sound familiar, but Core BBQ Garden and Bar is now at a new location. 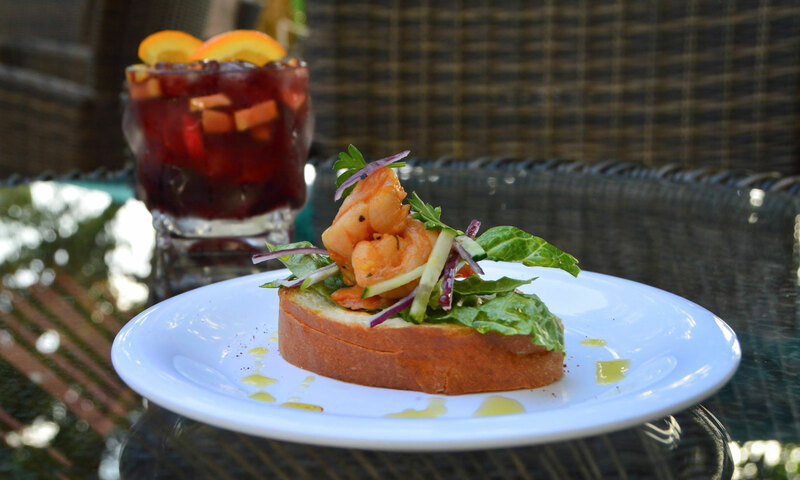 What once was a beach bar is now an elegant sit-down restaurant at Acanta Mall. Although barbeque, seafood, and steak are among the most popular entrees, vegetarian options are available. You have the choice of dining indoors with a “tropical island atmosphere” or sitting on the outside deck where smoking is permitted. 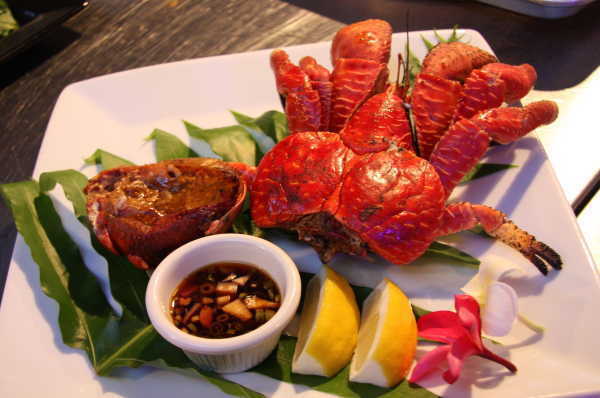 You also have the opportunity to purchase a six-pound lobster, which is great for special occasions! 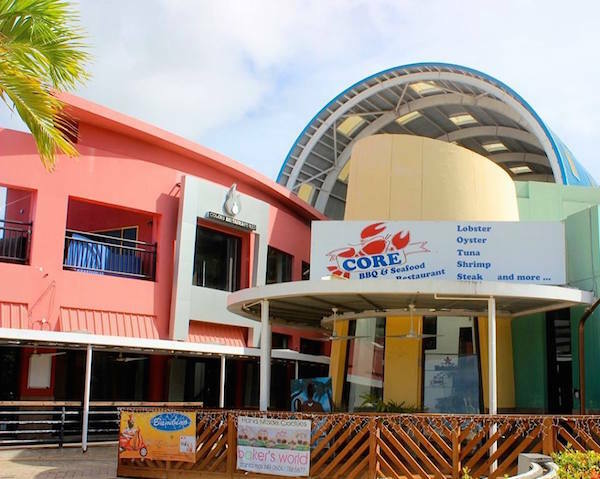 Located at 962 Pale San Vitores Road in Tumon, visit Core BBQ Garden and Bar any day of the week from 5:00 p.m. to 11:00 p.m. Don’t miss out on the island dance show that starts at 6:15 p.m. and ends at 7:45 p.m. It gets busy so be sure to make a reservation ahead of time! Have a sweet tooth? How about the need for some spice in your life? A Whole Lettea Love has a not-so-ordinary menu, offering specialty items such as dinanche lattes and Butterfinger frappes. If you are looking for a bite to eat, you must try the wafflewich, a sandwich-like specialty item. 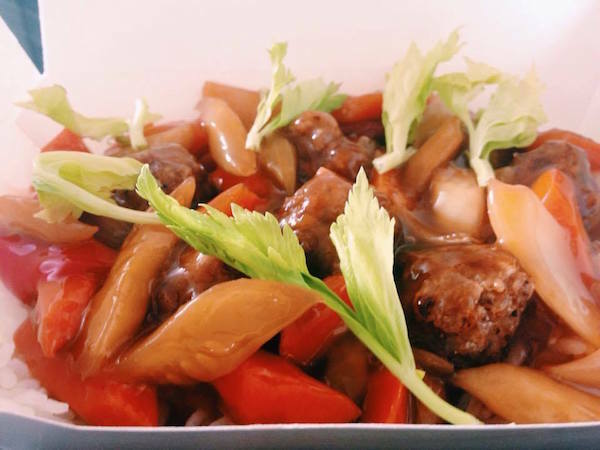 Other daily specials include beef broccoli, chicken teriyaki, and sweet and sour meatballs. Want something to satisfy that sugar craving? No problem. Try a pastry or dessert like the chocolate drizzled Rice Krispie or oatmeal fudge bar. Located at 643 Chalan San Antonio DFS Pacifica Bldg. Ste. 103 in Tamuning (next to Guam Greyhound and across from LBJ Middle School), a Whole Lattea Love is open from 8:00 a.m. to 5:00 p.m., Monday thru Friday.